Our computers are powerful machines, but they sometimes lack some basic features when it comes to multitasking. 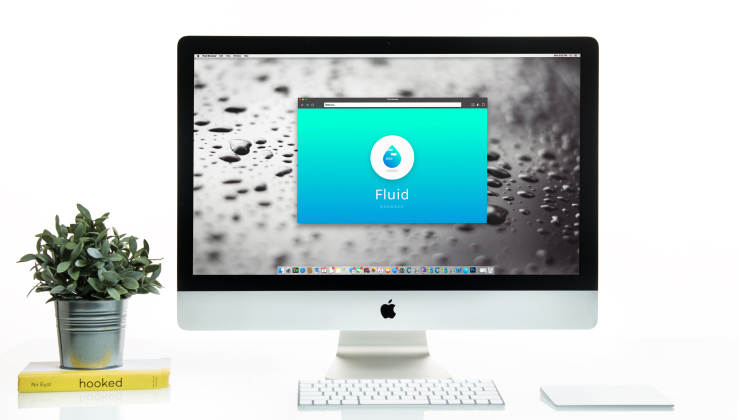 This Fluid Browser will help you watch things on the web while doing other stuff. Ever struggled to position windows just in the "right place" so you could watch something on YouTube, or any other web content, while working on something else? Some may use a secondary monitor, but this Fluid Browser for Mac might do the trick in a much simpler way. The Fluid Browser is a special kind of browser, that besides the regular browsing stuff, can become a floating transparent window, allowing you to keep working on an app underneath while keeping an eye on the content you want to watch. Maybe you're following a video tutorial; maybe you just need to keep a web page or PDF in check while writing a document. No matter what it is, you'll soon wish you had this simple feature in most other programs you use. This browser isn't free, but it's hard to argue that it will be $2.99 well spent.